Home Prince of Wales Island Air Express Wins 2017 Outstanding Business of the Year!! 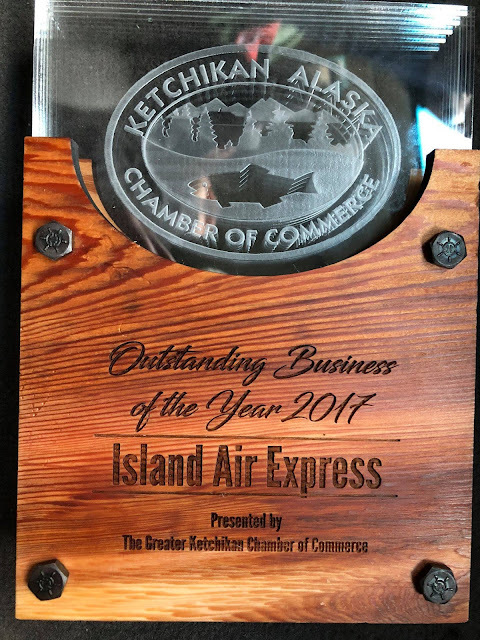 Island Air Express Wins 2017 Outstanding Business of the Year!! 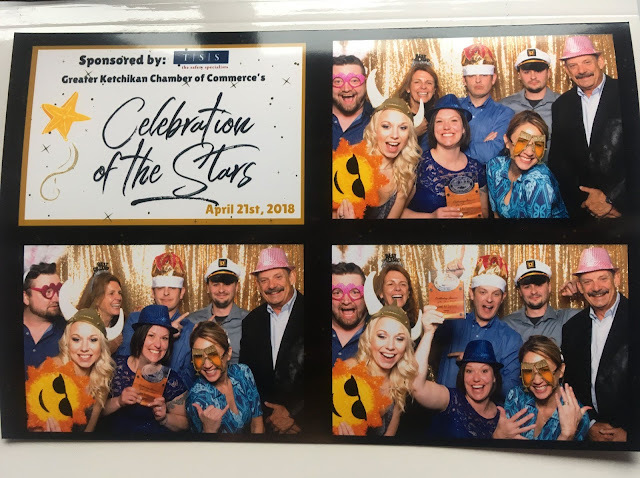 Saturday evening [April 21st] the Ketchikan Chamber of Commerce featured a Gala and awards ceremony at the Ted Ferry Civic Center. One of these awards were presented to Prince of Wales' own Island Air Express! 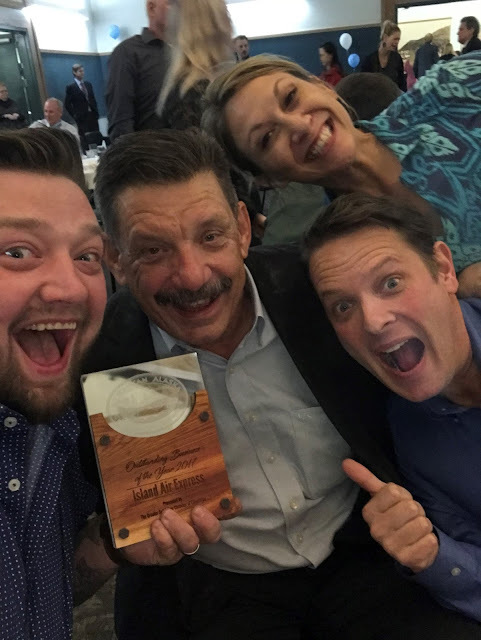 What an honor to have just been awarded “Outstanding Business of the Year” by the Ketchikan Chamber of Commerce last night! Very proud to share this title with Alaska Airlines, the only other airline to have ever received this award back in 1986. 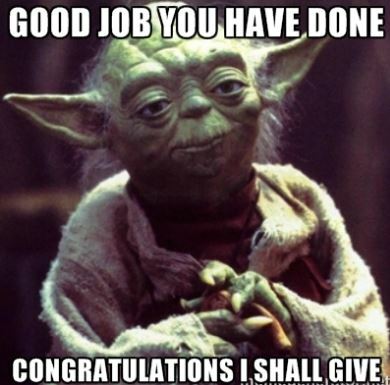 Many thanks to the Ketchikan Chamber of Commerce, our loyal Ketchikan customers, and to our top shelf Ketchikan crew that provides excellent customer service to our valued customers each and every day under the leadership of Station Manager Shari Montgomery and Assistant Station Manager James Vincent. Thank you all very much! Share the stories on your social and spread the word about POW Report! Become a Patron and support this local website!